This is the Australian release of this set, put out by EMI. 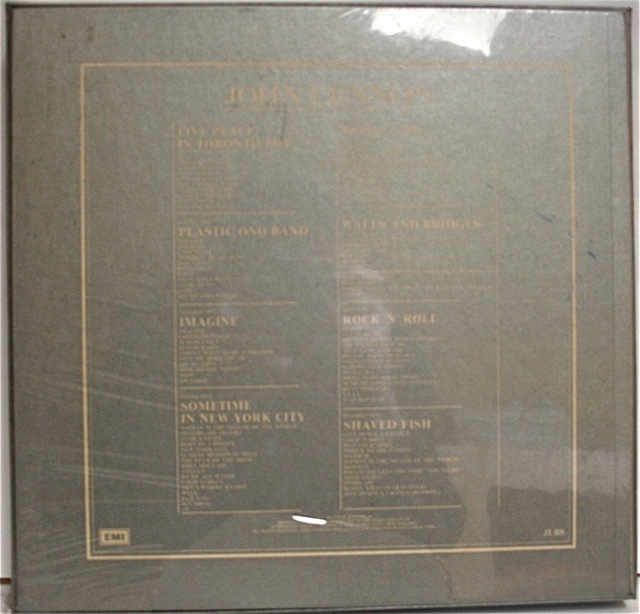 Mitch McGeary and William McCoy write (on their Beatles Rarities and Box Sets website) that all the LPs were issued on the Apple label and packaged in their original covers: “Included in the UK and other sets was a twenty-page, black-and-white booklet, “The Liverpool Echo’s Tribute To John Lennon,” which was loaded with pictures and song lyrics. 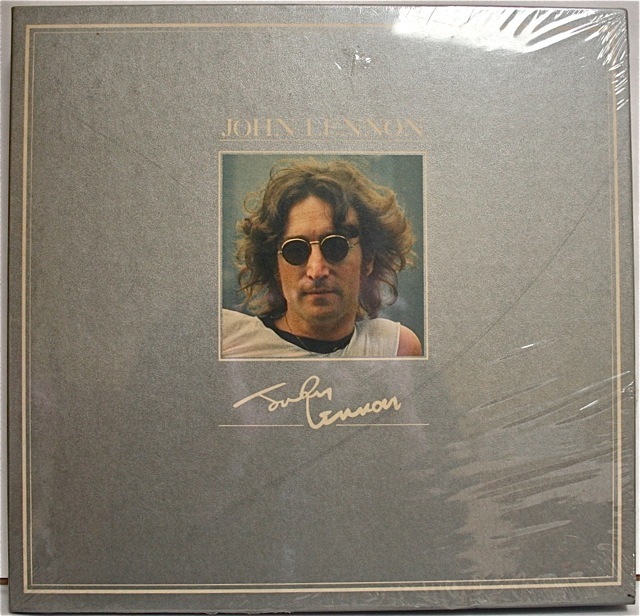 The albums were encased in a silver box that had a color photo of John on the front. 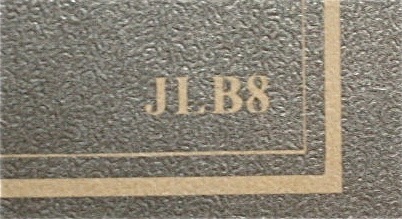 The set’s title and facsimile of John’s autograph were also embossed on the front of the box while the LP and song titles were printed on the back”. Apparently only 1,000 copies were made of this one, making it quite a collectable item. This entry was posted in Beatles, Beatles Collecting, Beatles Music, Beatles Related, John Lennon and tagged Apple Records, Beatles, Beatles Collecting, Beatles Related, John Lennon, Lennon Box Set, Plastic Ono Band by beatlesblogger. Bookmark the permalink. Sealed copy? Nice find! I bought a Canadian variation of this set around 1982 or 83 in Halifax… played each album once to make cassette copies, and then put them away. Hi. I paid $100 Australian for my copy. It is mint and still sealed. I think that’s OK for an 8 LP set. I have an English version which will shortly be for sale. To the best of my knowledge the tapes may not have been played, or possibly only once. how much did you pay for the 1981 john lennon vinyl box set (in silver box..called “John Lennon”)?, or rather, how much id it worth? Hi, I paid $100 Australian dollars. Today that’s about US$108. Not sure if thats a bargain or not – but my copy was still sealed. I have the boxed set-8 albums ,poster ,memorial book from Liverpool and a page of 9 stamps-with certificate of authenticity. Also have the Beatles anthology 1,2,and 3 all double cd’s-plus several cd’s in mint condition. PLEASE,PLEASE ME, PAST MASTERS VOLUMES 1 & 2 -PARLOPHONE WITH THE BEATLES, THE BEATLES LAST NIGHT IN HAMBURG WITH 28 SONGS AND A POSTER INSIDE , THE BEATLES 1-CD IS IN MINT CONDITION-CASE HAS A CRACK IN 1 CORNER , ALSO BEATLES FOR SALE , A HARD DAYS NIGHT, AND ABBEY ROAD. ALSO PAST MASTER CD ALSO HAS A CRACK IN THE CASE BUT THE CD ‘S ARE ALL IN EXCELLENT CONDITION-AS ARE THE LP’S . EXCELLENT COLLECTION I WOULD LIKE TO SELL -ALSO HAVE BOOKS AND MOST OF THE CDS HAVE BOOKS AND THE ALBUM HAS THE WHITE ROOM POSTER OF JOHN AT THE PIANO AND ANOTHER BOOK . 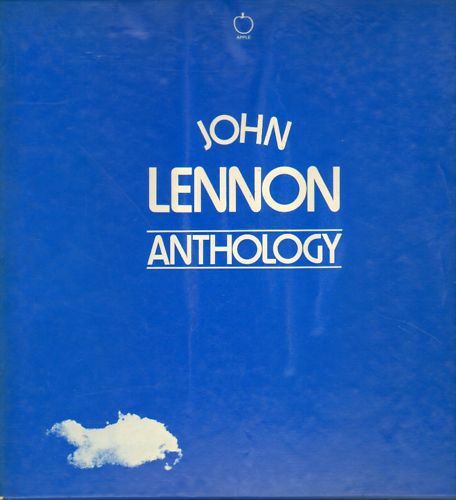 ITS A JOHN LENNON AND THE BEATLES COLLECTORS DREAM-WONDERING WHERE IS THE BEST PLACE TO SELL THIS AWESOME COLLECTION. ANY FEEDBACK OR BUYER INTEREST WOULD BE APPRECIATED. I have one copy of the Italian Edition! Nice one! Did that come in a blue plastic box? Yes mate! The original blue plastic box of the italian edition. Nice one. Would love to own one of those…..